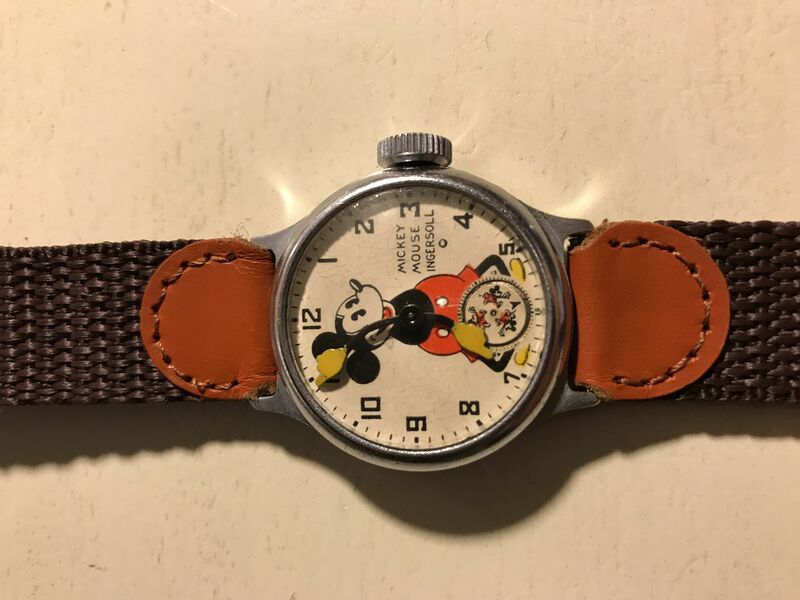 In 1933 on the verge of bankruptcy, #Ingersoll #watch company signed the rights to #license and make the 1st #Disney #MickeyMouse watch. The watch was introduced for $3.95 at the #Chicago #Exposition “#CenturyOfProgress”. Needless to say the watch was a huge hit and offered some reprieve and fun during the time of the #GreatDepression. Ingersoll went on to produce thousands of them into the 60’s. This particular watch dates to 1934 and is dated based on the small 5 and 7 marks and USA marking is absent from the dial. This is the second one produced and is 100% original and in amazing shape with bright original colors. All original movement, crown, bezel, crystal, and back. 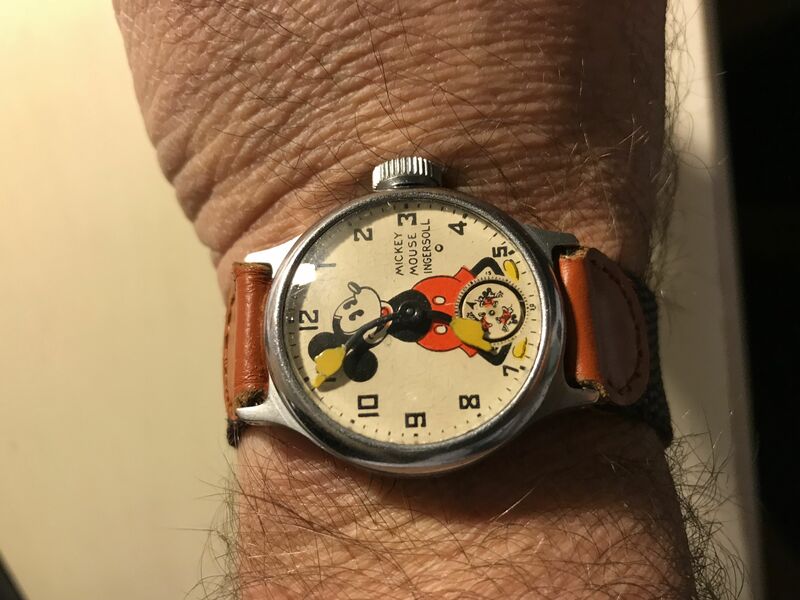 This was purchased for 10.00 at an estate from the original owner and repaired at the The Clock and Watch Shop in DT Hinsdale (They are amazing). 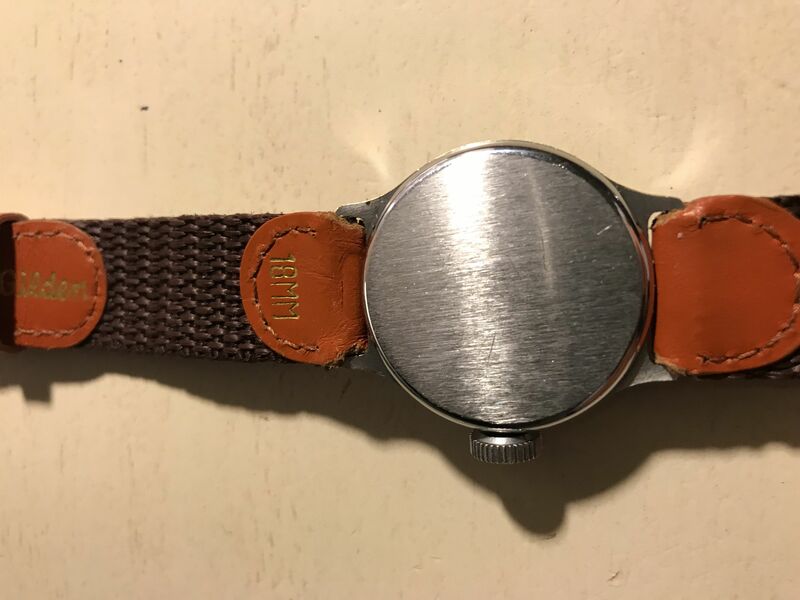 This watch sells for $500-1000 today at auction and is highly collectible. I love rescuing #history and finding people to repair and make things run again. This poor guy needed some help. I wish I knew more about the owner and how they felt and what memories it brought them when they purchased it at the Chicago Fair in 1934. 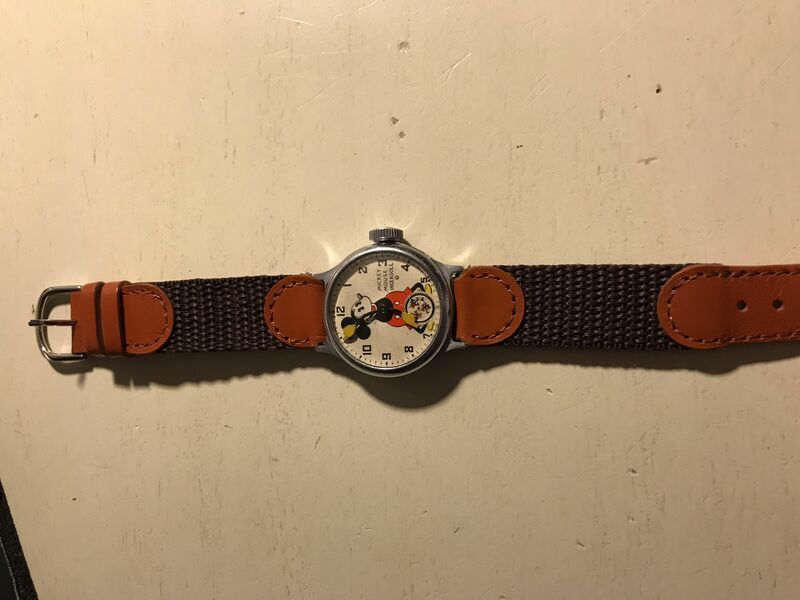 I would love to hear the stories this watch could tell.